The Broncos will play their first trial game for 2019 in Warwick this Saturday night. 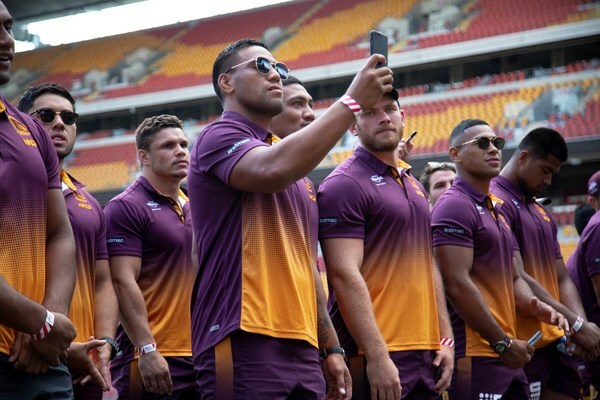 The Brisbane Broncos are expected to hit the ground running when they step out in a trial game for the first time under new coach Anthony Seibold on Saturday night at Fr Ranger Oval. The Broncos will play South’s Logan Magpies. Several of the Broncos gun players and some fresh faces are expected to line up against the club’s Intrust Super Cup feeder club. The game which kicks off at 6.00pm on Saturday will follow a game between Brisbane West’s and the Toowoomba Clydesdales. The Clydesdale team is expected to include players from both the TRL Cowboys and Wattles clubs who will be having their first hit out this season. A big crowd is expected for one of the biggest games in years at Fr Ranger Oval. The Broncos will also be holding a coaching clinic for junior footballers on Saturday. The big weekend of league will kick off on Friday night with a Sportsman’s dinner at Fr Ranger Oval. Tickets for the dinner must be pre-purchased and are available from either Danny Lyons Sports or Tuesday night Cowboys training at Father Ranger Oval or by contacting Matt Grew (ph 0457 861212). Alternatively leave a message on the Cowboys Facebook page. Tickets are $100 per head.